If you’ve been following the news, you’d know that while Apple intends to unveil the iPhone 8 on September 12 and expedite the process where the phone reaches customers by taking pre-orders for it starting September 15, production issues will still cause the device to be delayed. That does not mean you cannot become an early adopter for the edge-to-edge glass smartphone a little earlier, though it will mean you will have to spend quite a bit of cash on this version. 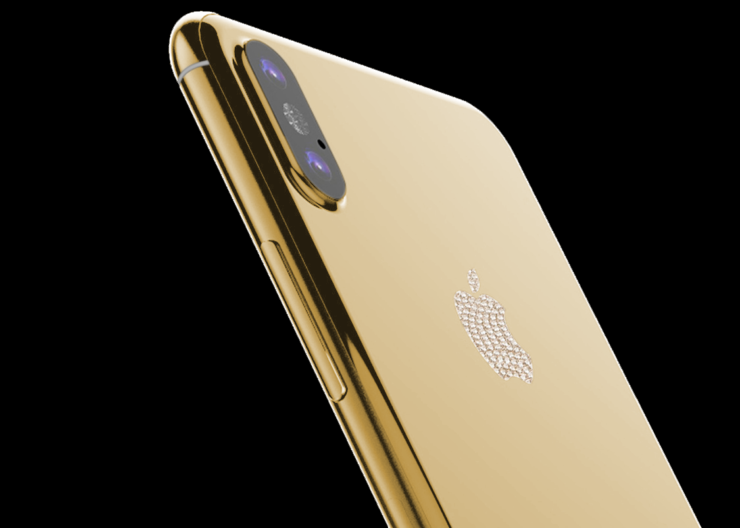 Goldgenie has started to take pre-orders for its 24k gold iPhone 8, and those words alone meant that these units will fetch an absurdly large price tag. On Goldgenie’s website, you can secure several colored and downright expensive versions of the iPhone 8, but the pricing details of this phone have not been listed. It isn’t surprising that the company has not listed the price of the iPhone 7s or iPhone 7s Plus either, but we’ll find out once Apple announces further details on September 12. Available in 24k Gold, Rose Gold, Platinum, and our Diamonds Cluster edition. Pre-order now and secure your NEW Gold iPhone 8 for only a 50% deposit. Rumor has it that the base model of the iPhone 8 will start at $900, which equates to a $250 premium if you compare the current-generation base model iPhone 7. Some analysts also believe that the iPhone 8 is going to be offered in a bundle to encourage customers to make a purchase. Things are going to look thoroughly exciting when the new iPhone 8 shows up so we’ll be here to provide you with all the necessary coverage in real time.